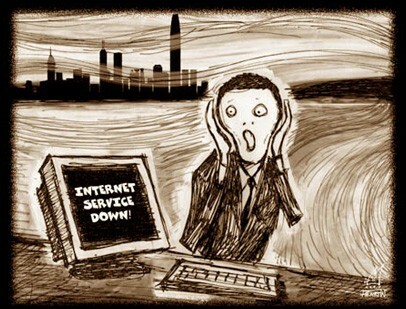 On Monday, May 27, 2013, there will be an Internet outage for Otis College. It has been scheduled for the Memorial Day holiday to minimize the impact. Thank you for your patience while these services are down. Enjoy the holiday! I’ll be using it to prepare for next year’s National Day of Unplugging. Image above: Downloaded from this page, but I couldn’t find out who actually drew it. If you know, let me know.